About The Blue Series consists of shots in which all of the image, except blue elements, has been converted to monochrome. This shot is of equipment at a children's playground. Thank you for looking and commenting. Fabulous and a well deserved EC! Congratulations! This is one fine series, Harlan. Another terrific image. ,. 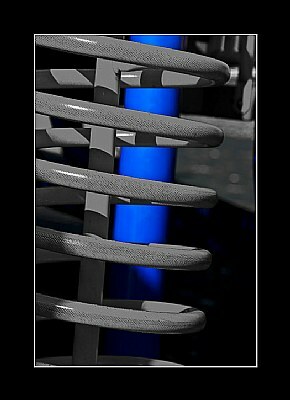 illusionary suspension spring ,.